These were highlighted by Ayala Foundation Ruel Maranan as he spoke at the Global Reporting Initiative (GRI) Sustainability Summit held on October 8 at the Conrad Manila. 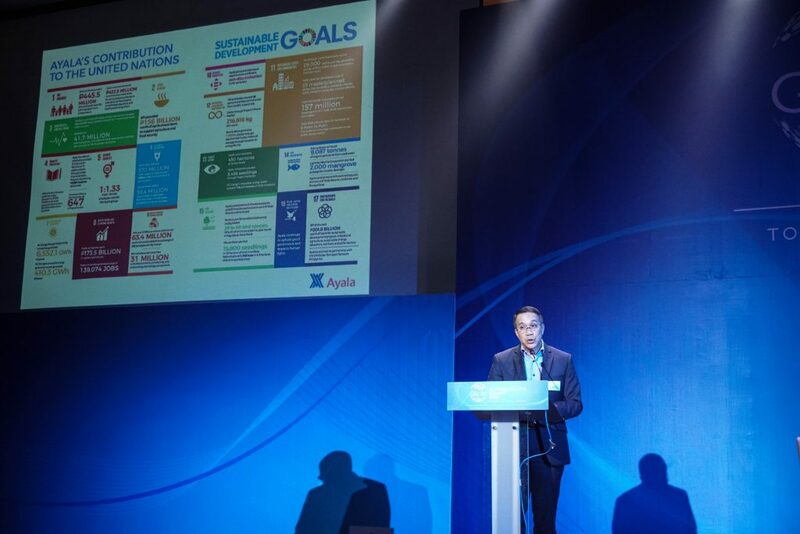 Speaking at a session entitled “Family Businesses and Foundations: A Force for Sustainable Development,” Maranan emphasized the pioneering work of the Ayala group in the field of sustainability reporting. Given such standards, Ayala Foundation aims to be a community development expert by investing heavily in initiatives that have high social impact and by ensuring the sustainability of its community programs. Maranan also emphasized the need for community solutions that are as suitable as they are sustainable. He said: “Sustainability is a byproduct when we are engaged. Be part of the solution.” Part of this, he added, can be achieved by empowering community leaders who will be on-the-ground advocates for community development. The other session speakers were Cedie Lopez-Vargas of the Lopez Group Foundation, Ramon Gil Macapagal of the SM Foundation, and Mike Liwanag of JG Summit. The first of its kind in the Philippines, the GRI Sustainability Summit gathered together leaders from the business and development sectors to share perspectives and experiences in sustainable development. The summit also served as a venue to discuss the finer points of GRI’s sustainability reporting standards. Earlier that day, Ayala Corporation Chairman Jaime Augusto Zobel de Ayala spoke at a panel on the role of Philippine business in paving the way to a sustainable Philippines.